Don’t let the prospect of your child starting braces overwhelm you. Learning more about all the steps ahead will make the process stress-free (or at the very least free of unwelcome surprises). It all begins with your consultation. There’s a lot to unpack at this first appointment, and it’s super important that you’re prepared for it. Let this post serve as your guide to your first orthodontic consultation. Below, you’ll find the best questions to ask, exactly what will happen during the consultation, and next steps once you’re ready to begin treatment. If you’re interested in scheduling a consultation or have any questions, we’re always here to help! Get in touch today with one of our three locations in Hinsdale, Naperville and Oak Lawn – whatever is most convenient for you. Before your appointment, get your thoughts straight by going over questions that you’d like answered. It may help to write them down so that you can be sure you get all the information you’re hoping for – it’s common to forget things once you’re in the office, especially if you tend to have dental anxiety. How long will treatment take? Treatment length is different for every patient – and the estimated length may also change as treatment progresses based on the way the teeth move. Treatment length will also have an impact on overall cost. How much discomfort do patients typically experience? Braces are not painful, but they will cause tenderness. After each time the patient gets new wires, the teeth will be sore for a couple days. Eating soft foods and taking over the counter painkillers will help your child sail through this comfortably. Having orthodontic wax on hand will also help you cover up any wires or brackets that may be poking the insides of cheeks or backs of the gums. Which foods are unsafe to eat with braces? Crunchy, hard or sticky foods are more likely to cause broken brackets or wires. If you follow rules about avoiding certain types of foods, it’s relatively straightforward to prevent problems. It’s also key to avoid very sweet foods and drinks as those lead to plaque buildup. Ask for a guide to appropriate eating choices before treatment starts so that you can shop accordingly. Are there special aids for easy oral hygiene? The first time you child tries to brush their teeth with braces, they might not know where to start. But following instructions and using special tools will make it more comfortable and manageable. If your child doesn’t typically floss, now is a great time to start! Avoiding cavities during braces will help treatment speed by. Will headgear or other special appliances be necessary? Many patients will need headgear to help correct an overbite or underbite. There may be other additions that should be worn as instructed, like an expander before treatment or rubber bands during the latter portion of orthodontic treatment. How often will there be adjustments? 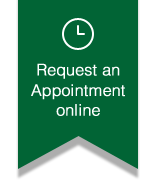 We will help you schedule your regular appointments so that you know exactly when and how often you’ll be visiting the office. How do I get used to wearing braces? There will be an adjustment period – you’re adding material inside your mouth, and that has an impact on the way you feel day to day. But your child will find themselves getting comfortable fairly quickly – and we’ll provide tips to get them speaking comfortably and feeling like themselves. The length and intricacy of your consultation depends on a few things. The complexity of your child’s case is one huge factor – there may be multiple phases of treatment or preparatory steps necessary. If you already have recent x-rays, this may mean that you can skip x-rays at the consultation. Dr. Thomas will evaluate every patient and provide the treatment that best fits their needs. The goal of a consultation is for you to learn more about our practice and your child’s potential treatment plan, and then for us to learn more about your child’s teeth. Your consultation will usually take between 1-2 hours. You may also be interested in getting a second opinion from another orthodontist if this is your first time with a child in braces. Just let us know what you’re thinking and we will keep your information on file in case you choose to work with us. Once you’re ready to start your child’s orthodontic treatment with our practice, you will schedule another appointment to have the appliance or brackets placed. If you’re ever uncertain about what will be involved, just give us a call!